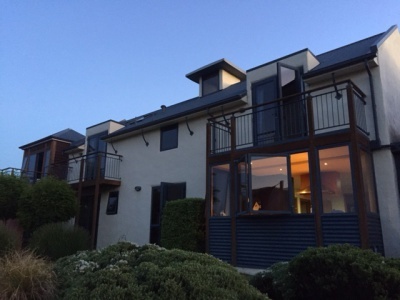 This specialty Bed and Breakfast is 2 mins drive from the centre of Cromwell and 2 mins walk to Lake Dunstan. Our designer bedrooms have balconies with lake and mountain views. Situated 5 kms from Firewood Creek, the old town water reseviour for Cromwell. 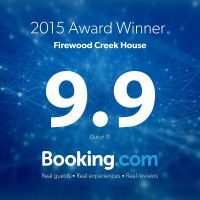 We choose the name Firewood Creek House, as we felt fire is a symbol of warmth and water provides refreshment. When combined these two factors are important elements of life. These combined elements are important to our service offering, as we aim to povide a warm welcome and a stay that is comfortable where guests leave feeling relaxed and refreshed. Your hosts during your stay will be Kitty and Nina (a mother and daugther team), we are both keen travellers who have lived overseas and have used our knowledge from travelling and staying abroad to create what we hope you will find to be a relaxed, friendly and unique experience. Having lived in the Otago region, we can offer 20+ years of knowledge to our guests on what to do and see and are happy to share our local secrets to ensure our guests get a 'real kiwi' experience.